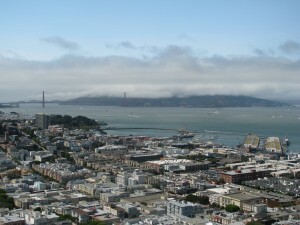 We arrived at the top of Filbert Stairs, which is known as Telegraph Hill. 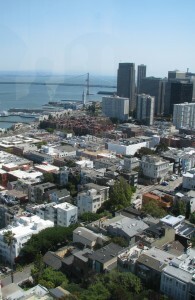 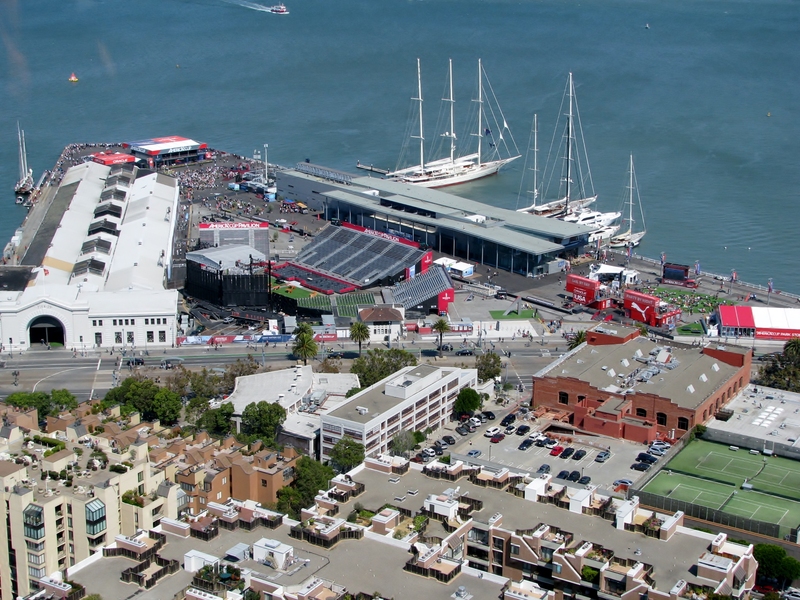 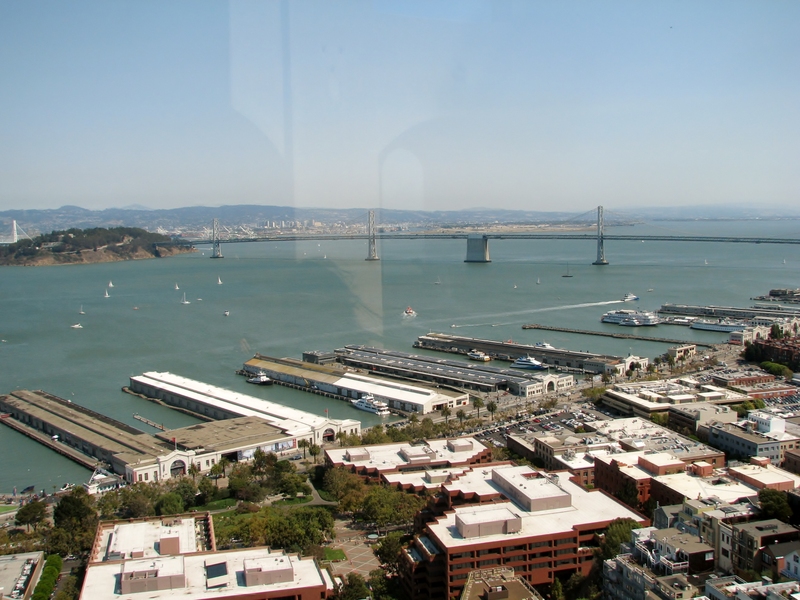 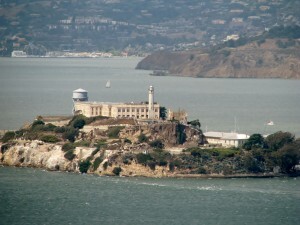 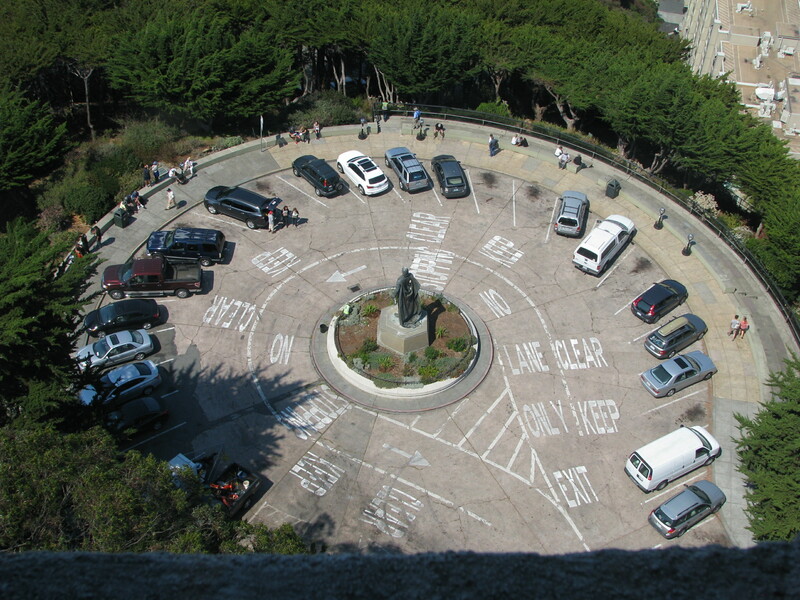 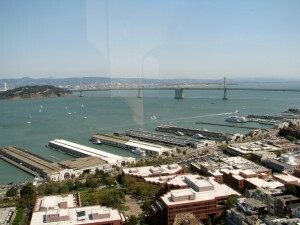 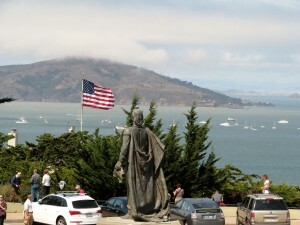 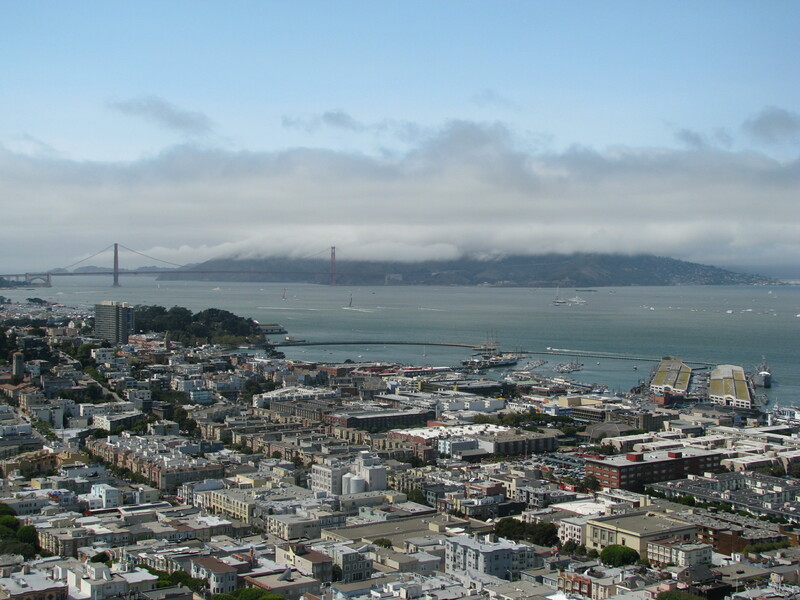 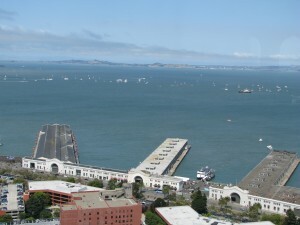 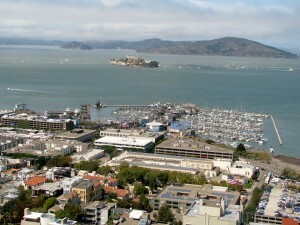 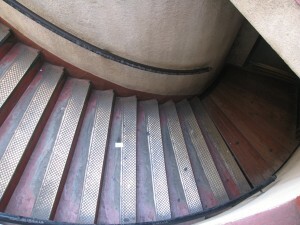 This is where the 210-foot Coit Tower is located. 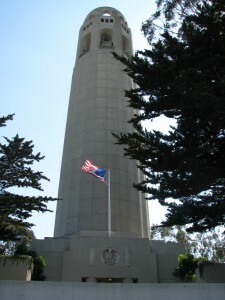 The Tower was built with funds left to the City by philanthropist Lillie Hitchcock Coit for the beautification of San Francisco. 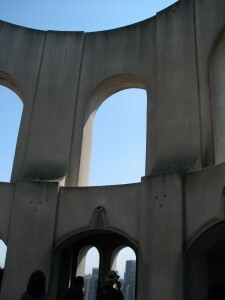 Due to Coit’s admiration for the fire fighters who fought the 1906 earthquake fires, many believe the tower was designed in the shape of a fire hose nozzle. 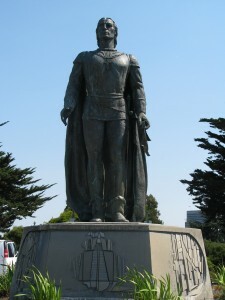 A bronze status of Christopher Columbus was placed in the park in 1957, donated by the city’sÂ Italian-American community. 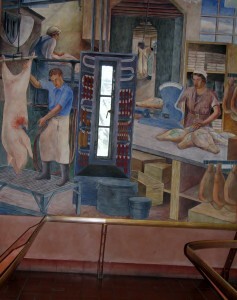 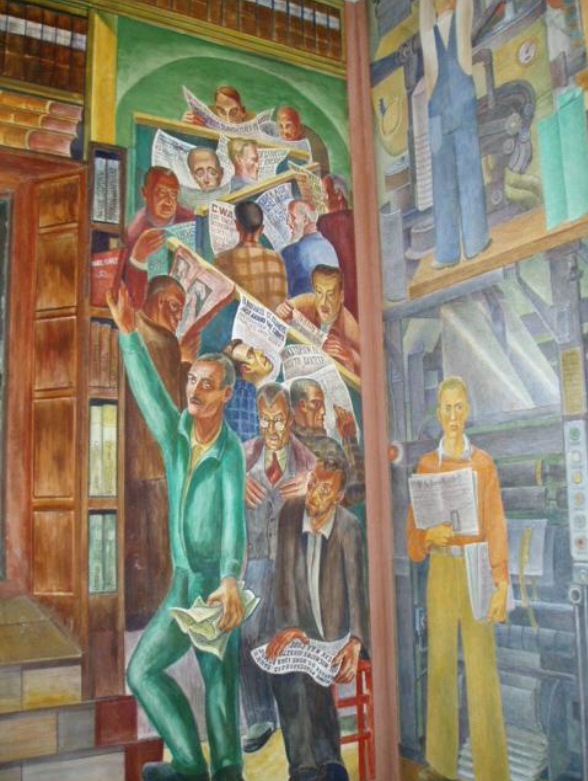 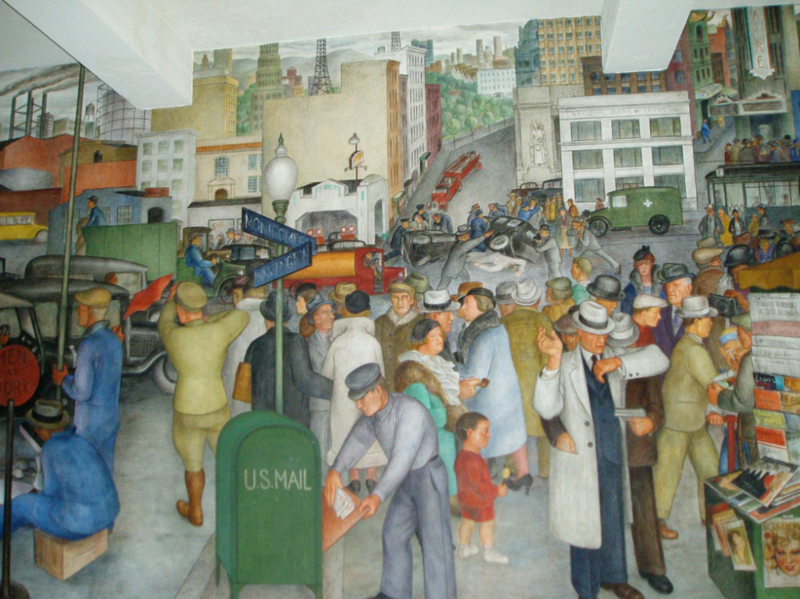 Inside we found a history museum and murals that depicted working life in 1930s California. 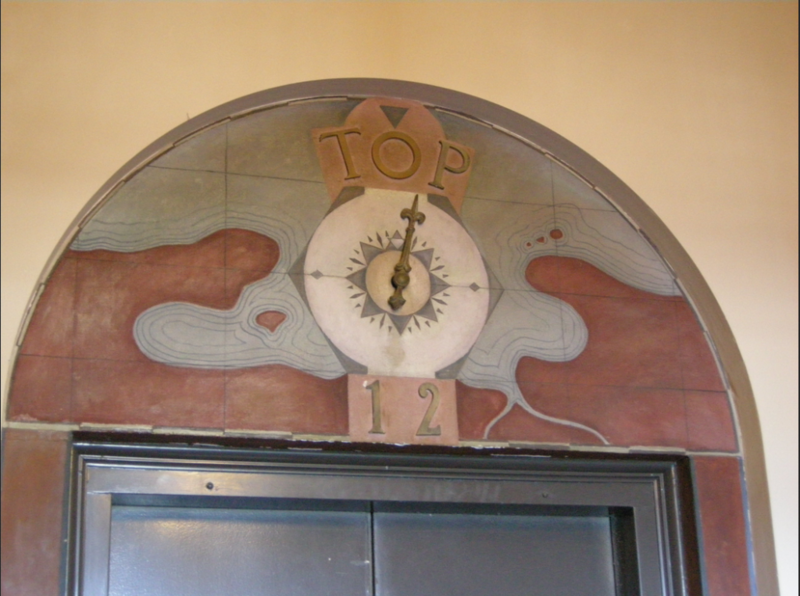 There was a $7 fee to take the elevator to the top of the tower. 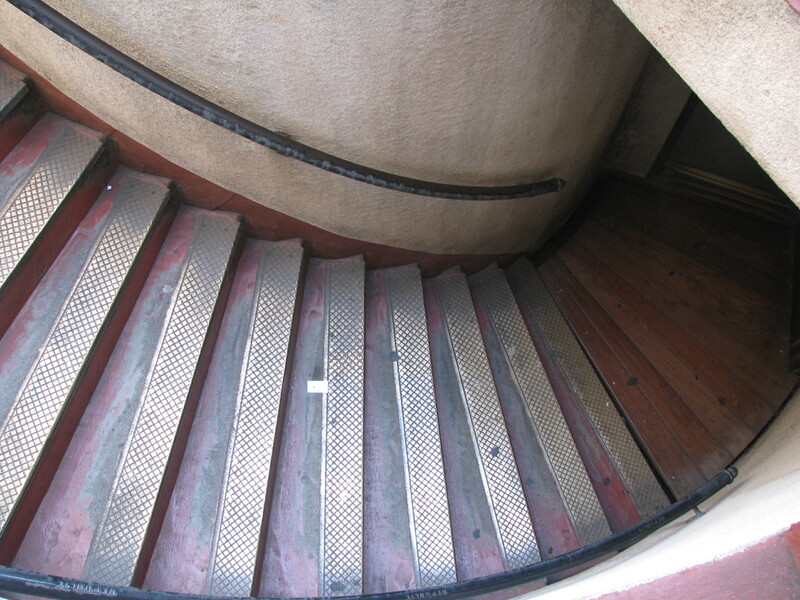 After leaving the elevator there is still a flight of stairs to climb. 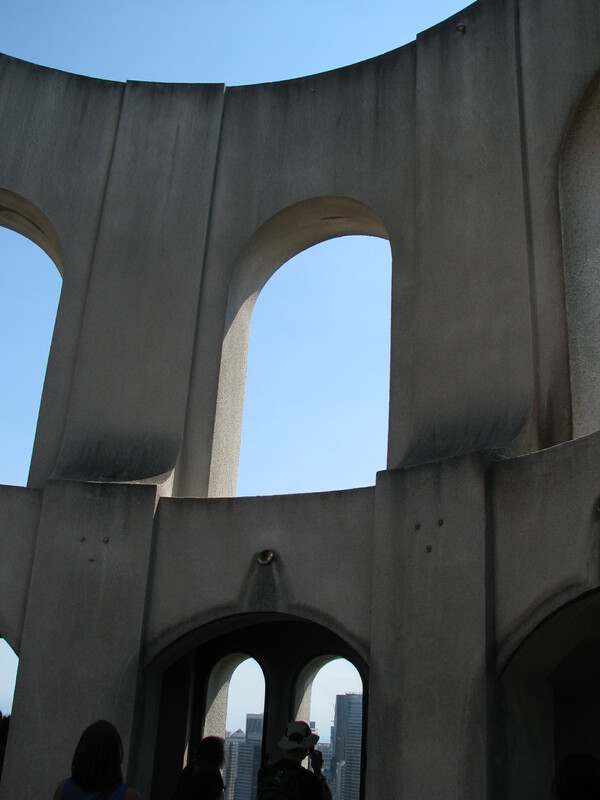 The view from the east side of the tower spans 360 degrees.